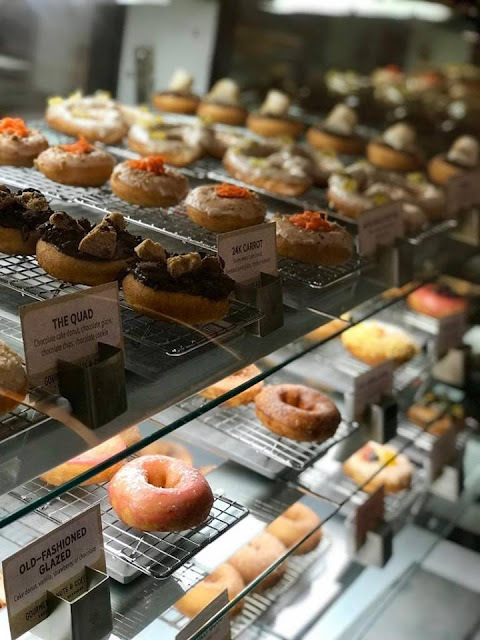 Anyone with a sweet-tooth will love this news! Sandals Royal Barbados announced today that they've officially opened their new Sweet n' Salty's Gourmet Donuts and Coffee Shop. 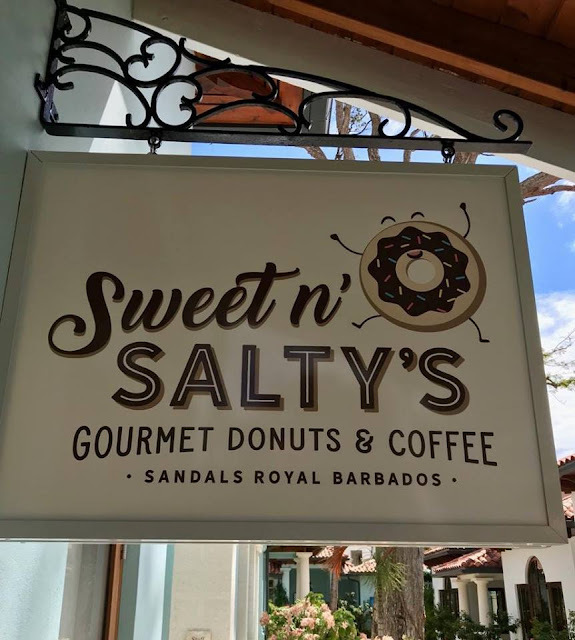 "As of February 7, 2019, Sandals Royal Barbados, the newest resort in Sandals® Resort’s all-inclusive portfolio, has officially opened the brand’s first-ever donut shop, delectably named Sweet n’ Salty’s Gourmet Donuts & Coffee. Not only is this Sandals’ first artisanal donut shop, but it’s the Caribbean’s first and only all-inclusive resort to feature an exclusive donut-only eatery. Urging guests to Donut Worry & Be Happy, Sweet n’ Salty’s Gourmet Donuts & Coffee offers an assortment of confectionary decadence ranging from gourmet traditional cake donuts to unique flavor combinations with plenty sweet, savory and a pinch of salty. 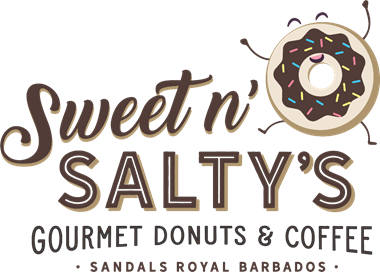 Open from 7am to 10pm daily for guests of Sandals Royal Barbados and Sandals Barbados, sweet and salty tooth’s can indulge in menu items such as: S’mores – a chocolate cake donut with melted marshmallow and graham cracker crumbs; Berrylicious – a cake donut with strawberry icing, berry compote and custard; and Yuzu Kazi – which combines yuzu icing, sushi rice and shredded nori. 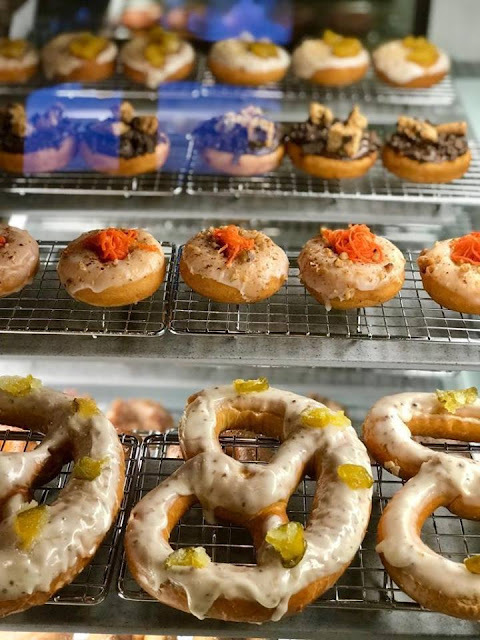 For a local treat, the Coco Loco donut infuses Caribbean flavors of coconut, jerk and pineapple compote into a cake donut delicacy. Accompanying the tasty treats are gourmet lattes, cappuccinos and international specialty blends." I'm hoping other Sandals Resorts in the brand will soon open a similar shop because I haev a feeling this is going to be a big hit among guests. 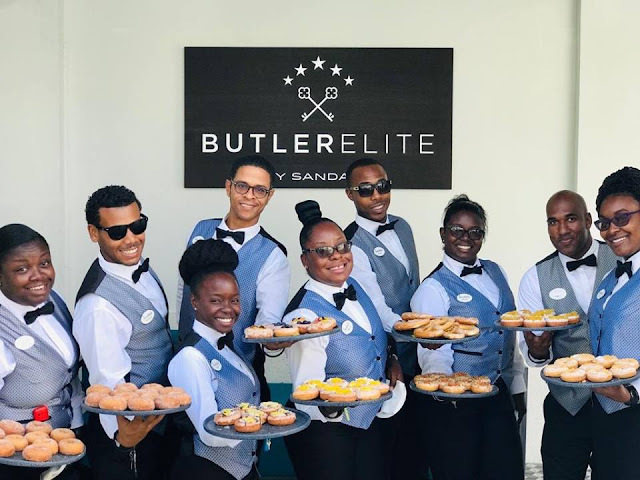 Between the bowling alley, the new restaurant options, the rooftop pool, and now this... Sandals Royal Barbados is sticking out above the rest. If you haven't been or are considering going, CLICK HERE to check out my review from my stay last year. 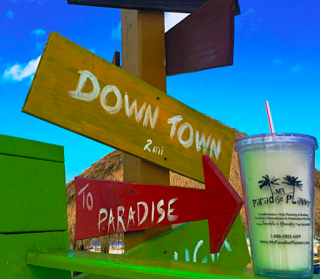 But, the very best way to book is with a Sandals Resorts Preferred Top Specialist. If you already have a preferred specialist you're working with, make sure to contact them. If not, please consider booking your next Sandals Resorts and Beaches Resorts vacation with me. My Sandals award-winning services are all-inclusive too, as they are 100% free for you to use. The price will be the same you'd get by booking anywhere else-- the difference is you'll be getting my valuable expertise before, during and after your trip, included! 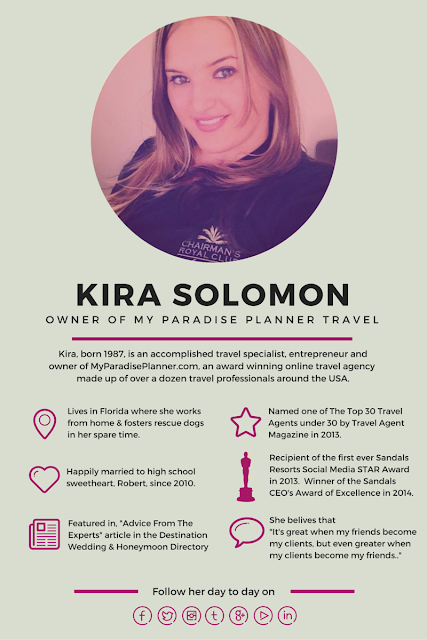 Join Our #MPPTravelChat On Social Media!